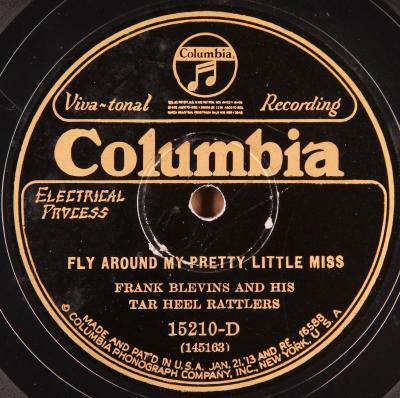 Nice copy of one of the great Country String Band records of the era by Frank Blevins (who was only 15 years old) and his Tar Heel Rattlers. Powerful classics, amazing visceral performances. Condition: E,E-; Grooves fine and record plays fine, loud and strong, generally nice quiet surface, but some surface irregularities, including two surface depressions and a 1/2 lam crack, may result in some minor soundings.